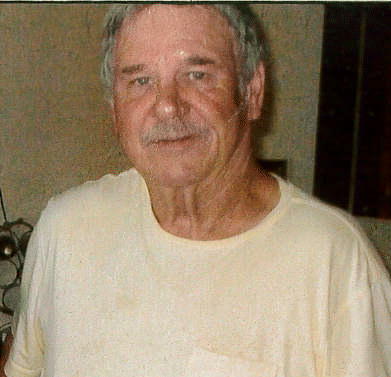 Russell Wayne "Poppa" Thomas, 75, resident of the Walnut Community, and well known retired restaurant owner and Vietnam War Veteran, departed this life Thursday, October 11, 2018 surrounded by his family. Funeral Services honoring the life of Mr. Thomas will be at 3 p.m. Monday, October 15, in the Heritage Chapel of Ripley Funeral Home with Bro. Steve Mckee officiating. Visitation will be one hour before services. Ripley Funeral Home is in charge of arrangements. Burial will be in the Veterans Cemetery at Corinth. Born September 16, 1943, in Charleston, Mississippi, to the late Lee and Ernestine Thomas. Mr. Thomas received his education in the Shelby County School System. He found a love for cooking and became the owner of Twin Oaks Restaurant in Walnut before his retirement. Russell was a Christian and never met a stranger. He was known for his story telling abilities and having good humor. Aside from being an avid reader, TV and movie watcher, Mr. Thomas enjoyed many things in life such as hunting, world news, storms, technology and talking politics. He also had a special love for his pet dog, Dude. Those left of honor his memory include a daughter, Casandra Waller of Walnut, a sister, Donna Hughes of Cordova, TN, two grandchildren, Lyndsey King (Kerry) and Thomas Dalton Myers both of Walnut, and two great grandchildren Jay Eugene Thomas King "Jet" and Willow King, and a host of friends. Those honored to serve as pallbearers will be Dalton Myers, Kerry King, Wesley Cox, Riley Mathis, Austin Newby, Austin Brock, Mickey Mathis, Donnan Hamm, Parker Roberts, Frank Morgandale and Charles Morgandale. The family request that memorials be directed to The Alzheimer's Association, 225 N. Michigan Ave., Fl. 17, Chicago, IL 60601. The American Flag at the Ripley Funeral Home Entrance honors Mr. Thomas and all Veterans for their service to our country.... GOD BLESS AMERICA!! !